What is Freightliner Truck Insurance? As a Freightliner truck driver with a dependable Freightliner truck, you should have a Freightliner trucking insurance policy with certain minimum compulsory coverage for the Freightliner tractor trailers that you use in your business, just as you would for a personal car. InsureMyRig understands that accidents do and will happen. We also know that unless you are insured with trucking insurance by a company that understands your business, the level of damage caused can be greatly exaggerated. If a claim occurs, you want great service from your insurance company to help you limit any expenses resulting from accidental damages or injuries. Whether you are considering getting into the commercial trucking business, just started trucking or have owned a trucking business for years, commercial Freightliner truckers insurance is one of the major buying decisions you will have to make as owner of a trucking business. It is one of the most important decisions you will make for the life and longevity of your business. Our licensed Freightliner truck insurance brokers will take the time to explain your options and our support staff works hard for your total satisfaction. We offer many convenient service options; certificate request can be taken by phone, fax or email and conveniently dispensed within 5 minutes. 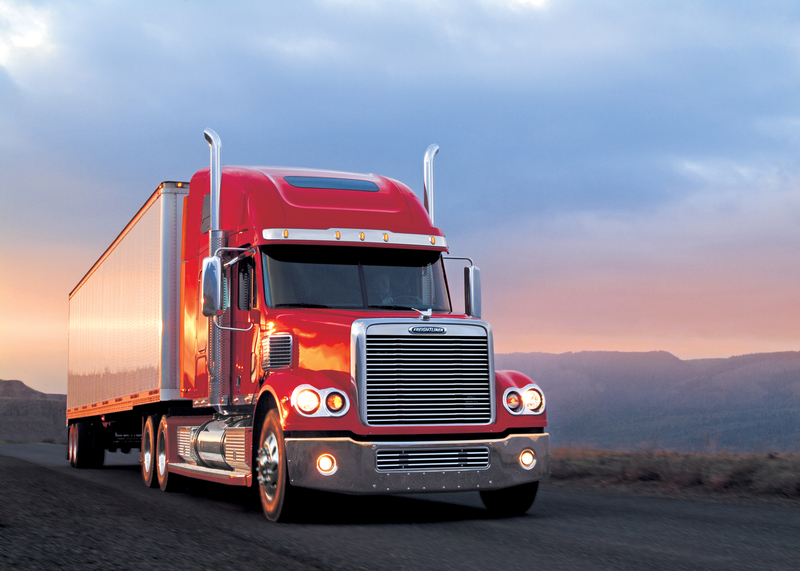 We provide Freightliner commercial trucking insurance for all commercial truck drivers. Roemer Insurance Pioneered Trucking Insurance Packages With Low Costs and Excellent Service.